Perhaps the greatest European fighter of all time, Georges Carpentier competed in virtually every weight class. He started fighting in the savatte style-in which the use of the feet was allowed-but his manager, Francois Descamps, quickly switched him to conventional boxing. Carpentier's formidable skills allowed him to become a professional in 1908 at just fourteen years old, fighting as either a flyweight or a bantamweight. In 1911, Carpentier knocked out Robert Eustache to win the French welterweight title. He also triumphed over Young Joseph in a knock-out win for the European welterweight title. The next year he added the European middleweight title. Carpentier's collection of titles grew in 1913 when he claimed the European light heavyweight title with a second-round knockout of Bandsman Rice and the European heavyweight title with a fourth-round knockout of Bombardier Billy Wells. Carpentier had great success against bigger men. He won a victory on a foul over Gunboat Smith in 1914 to claim the white heavyweight championship. 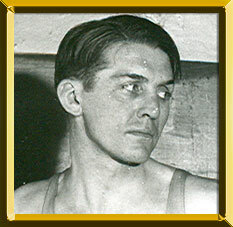 The advent of World War I interrupted Carpentier's boxing career. He served in the French military as an observation pilot and was decorated twice. Already popular, Carpentier was hailed as a true hero in France. In 1920, Carpentier came to the United States and became a favorite of American fans as well. He knocked out Battling Levinsky in four rounds in Jersey City to claim the world light heavyweight title. The next year, master promoter Tex Rickard paired Carpentier with Jack Dempsey for the heavyweight championship of the world. Over 80,000 people paid $1,789,238 to attend the match at Boyle's Thirty Acres in Jersey City. Blessed with extremely quick hands and feet and a strong right, Carpentier believed that he had a good chance to defeat Dempsey, even though the champion outweighed him by twenty pounds. In the second round, Carpentier broke his thumb with a punch that sent Dempsey reeling into the ropes. In the fourth, Dempsey knocked Carpentier down. Carpentier rose at the count of nine, but a left to the face and a right to the heart sent him down again, this time for the knockout. In 1922, Carpentier defended his light heavyweight title with a one-round knockout of Hall of Famer Ted ("Kid") Lewis but then lost it to Battling Siki, who knocked him out in six. Carpentier lost to the future heavyweight champion Gene Tunney in the fifteenth when his corner threw in the towel to protect him from further punishment. Carpentier remained active through 1926. In retirement, he acted in French movies and music hall shows and operated a restaurant.